The moment you set foot in Four Seasons Hotel Cairo at Nile Plaza, you’ll be captivated by its lush surroundings and elegant vibes. 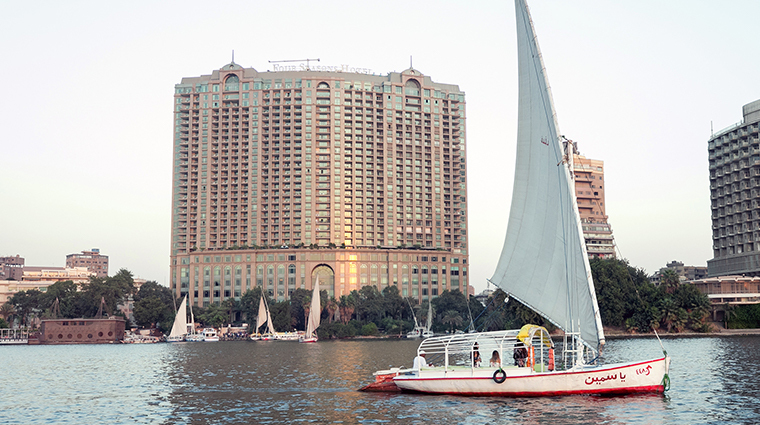 The fusion of modern-age luxury and panoramic Nile views of the ancient city is a once-in-a-lifetime ambiance worth waking up to. 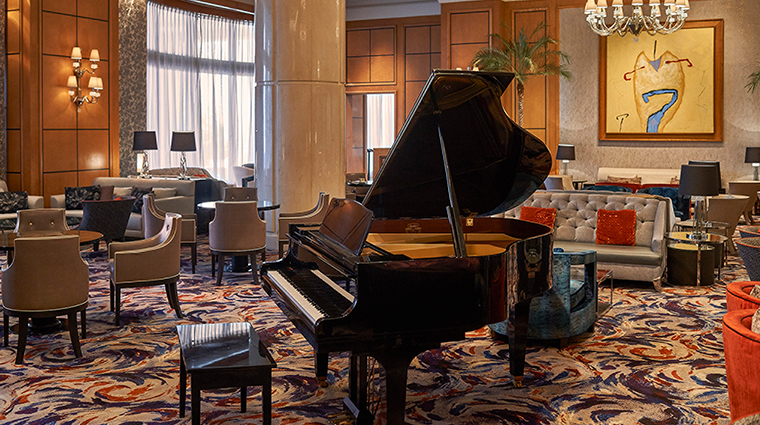 The hotel is in the heart of Cairo in one of its chicest neighborhoods, Garden City. The prime location doesn’t just offer you a breathtaking vista of the iconic river, but also easy access to the capital’s important sites. Fans of ancient Egyptian history can stroll to the Egyptian Museum. 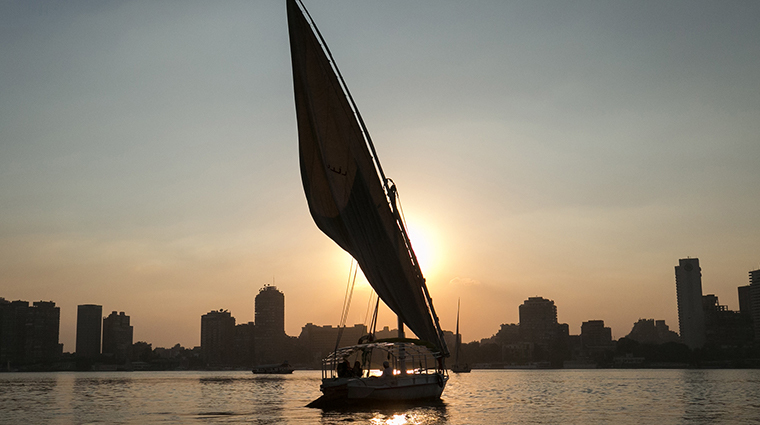 If you fancy architecture, then a tour around downtown is a must, and if you’re up for an aerial view of the city, Cairo Tower is less than a 10-minute taxi ride away. 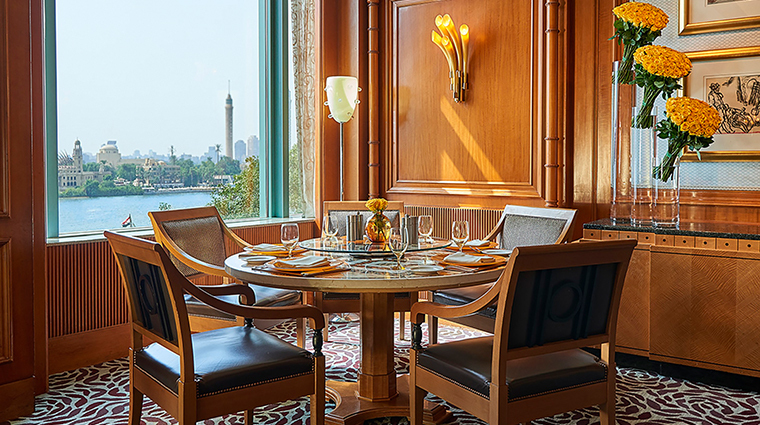 Only at this ultra-luxe Cairo hotel can you dine at one of the Seven Wonders of the Ancient World. 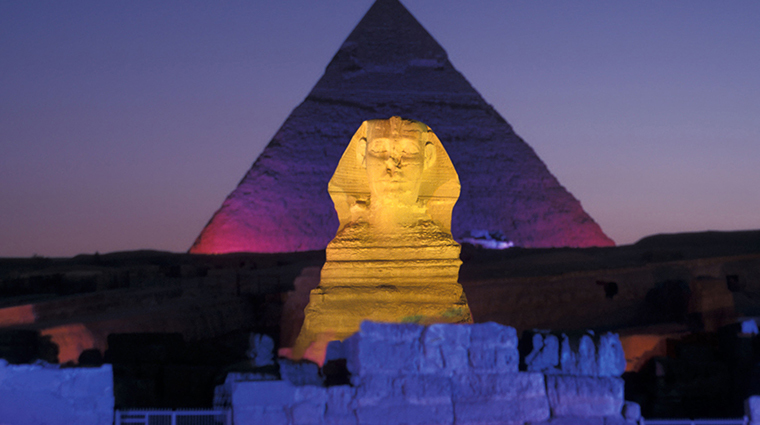 Head into the desert via horse and carriage and indulge in a flavorful meal (curated to your tastes) beneath the stars while a sound and light show illuminates the pyramids and the mysterious Sphinx. 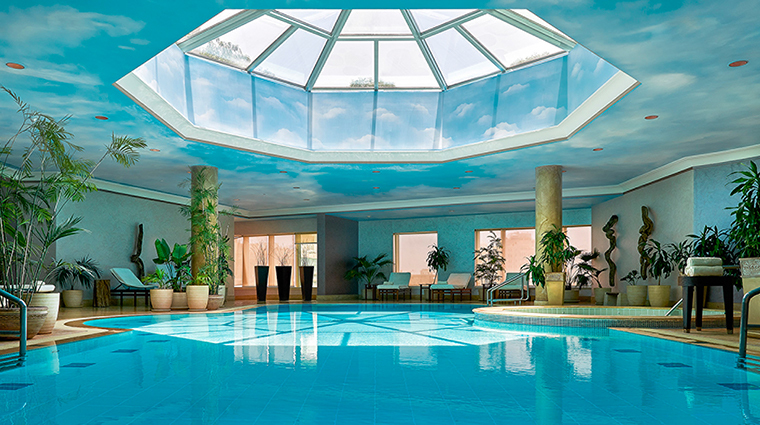 Enjoy a romantic retreat fit for a pharaoh at the property’s aromatic spa. 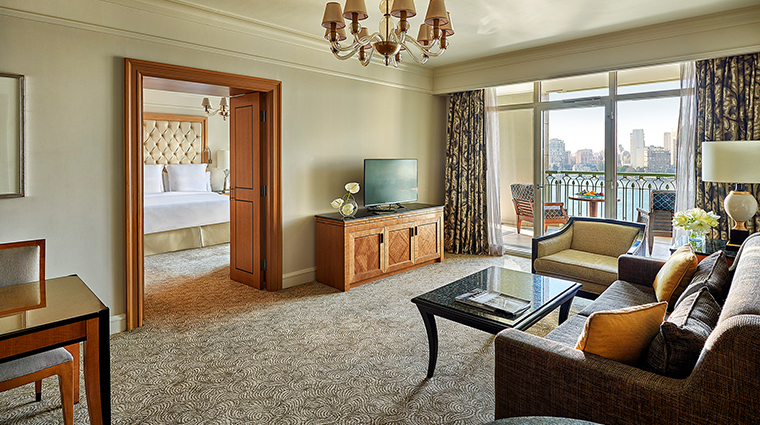 The sumptuous Royal Couple Suite has two massage tables, its own Jacuzzi, sauna, and steam room, as well as a small, isolated lounge with an exhilarating Nile view. Egyptian art is more than just dusty hieroglyphs. Get a glimpse of celebrated local artist Farouk Hosny’s work in the lobby— more than 200 of his abstract paintings and sculptures are housed in the hotel’s ground-floor gallery. 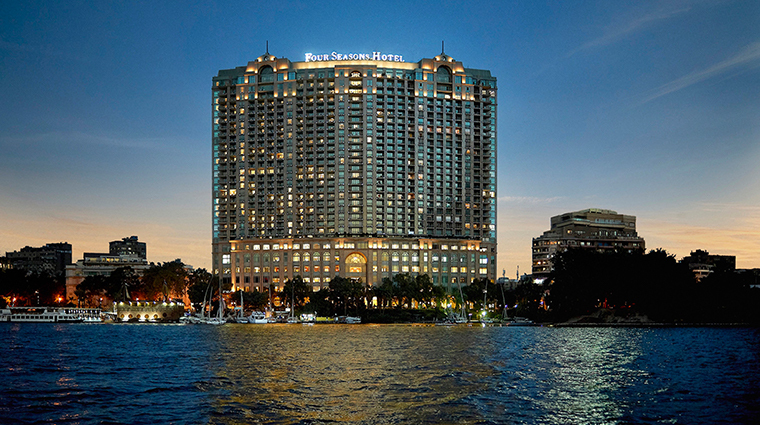 A last-minute makeover or blowout is made easy at Cairo’s Four Seasons. Al Sagheer Salon, one of Egypt’s best hair studios, has two branches at the luxury hotel: one for men (next to the spa entrance) and the other for ladies at the high-end Beymen department store. 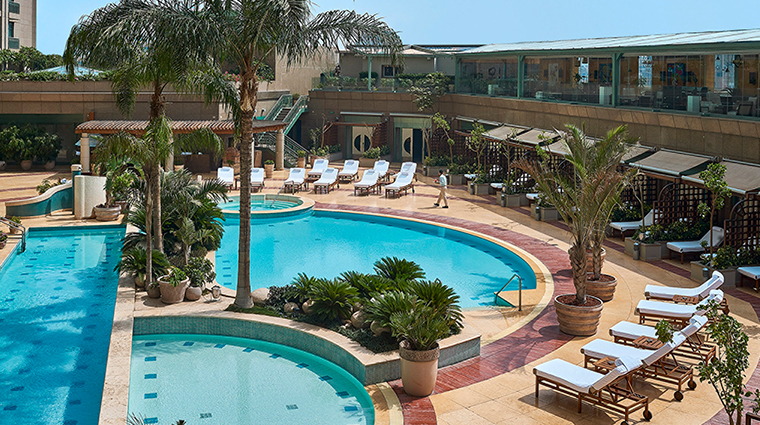 Four Seasons Hotel Cairo at Nile Plaza is the only downtown property (and one of the few in Cairo) with an indoor heated pool. This serene sanctuary is for adults only. Getting to the luxury hotel can be a bit frustrating during Cairo’s notorious morning and evening rush hours. However, its great location (only a five-minute drive from downtown) makes it a strategic home base. Not all rooms enjoy water views. To wake up to a breathtaking vista, book one of the Premier Nile Rooms or a spacious suite, such as the Four Seasons Executive Suite, which also happens to have a large balcony. 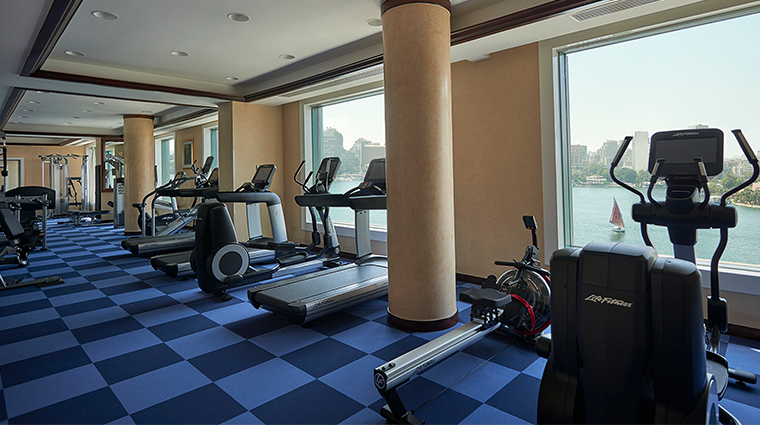 A 24-hour gym overlooking the Nile is on hand for those looking to squeeze in a quick workout. Thirty- and 60-minute training sessions can be booked if you prefer a little more direction. The bright and airy accommodations start at a spacious 495 square feet with floor-to-ceiling windows. 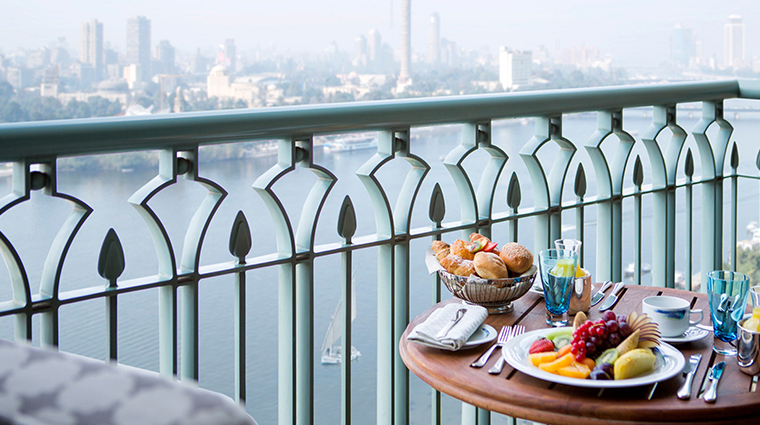 Most rooms have balconies to help you make the most of your Nile-front stay. 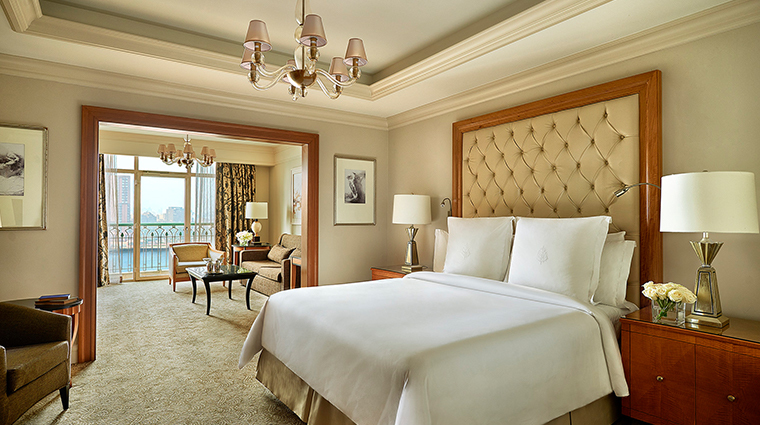 The Corniche Suite possesses a super-smart layout. The roomy living area can be closed off with sliding wooden doors, allowing for extra privacy in the river-facing bedroom and balcony. 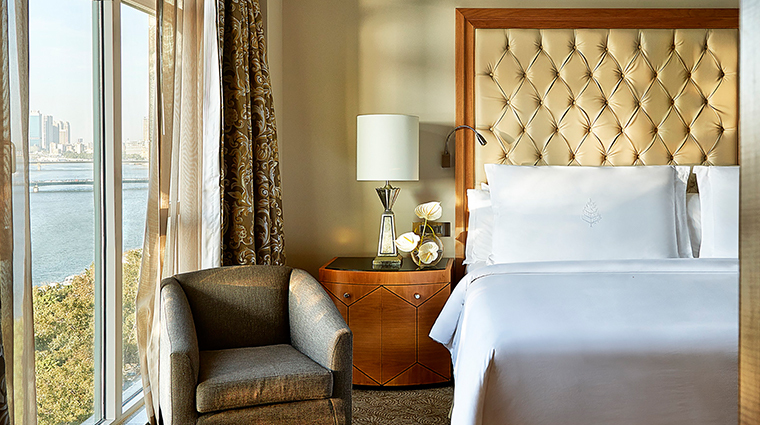 For an ultra-luxurious stay, book a Presidential or Royal Suite. 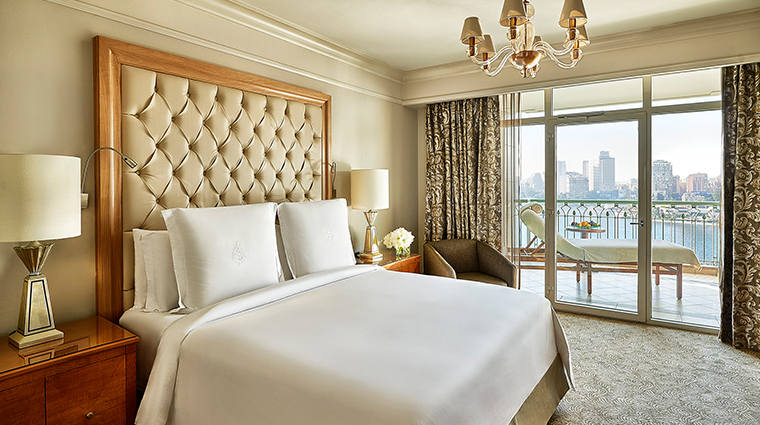 Situated on the top floors of the Cairo hotel, these luxurious accommodations boast extra space for entertaining (dining areas, kitchens, living rooms) and marble bathrooms filled with Bulgari amenities. Ample bathrooms come with bathtubs, separate showers and double vanities. Green marble countertops, colorful rugs and fresh flowers add a dash of character the neutral-toned spaces. 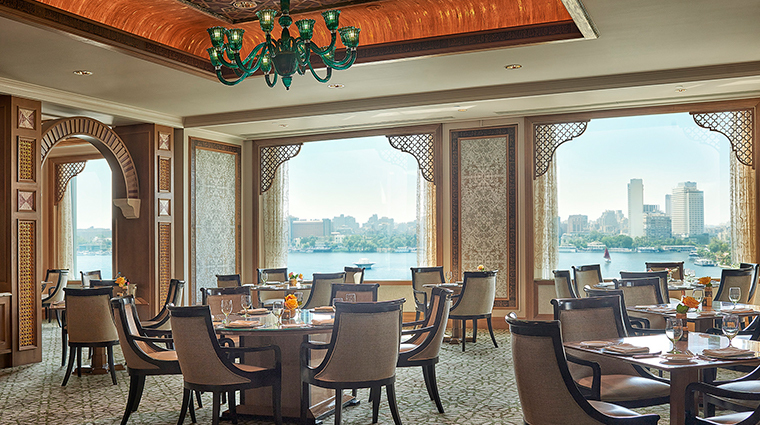 The luxury hotel’s signature restaurant, Zitouni, serves traditional Egyptian cuisine and an authentic atmosphere, complete with even more Nile views. 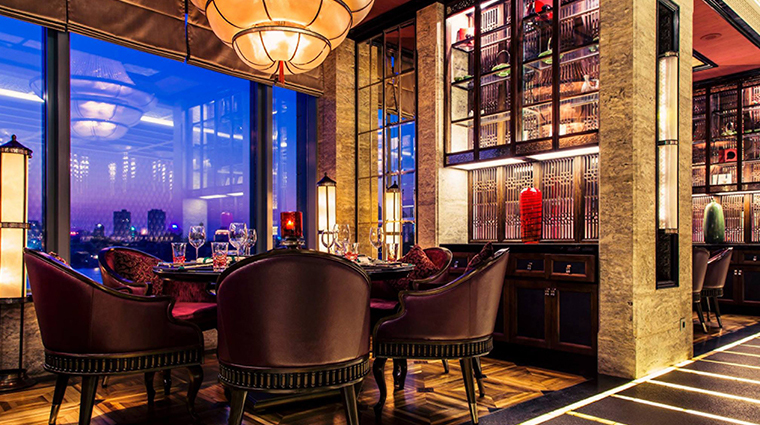 The 24-hour dining room runs on an open buffet basis with the finest Arabic delicacies on display. Churning out handmade pastas and fresh-baked breads from a wood-burning stove, Bella is the Cairo property’s elegant Italian eatery. Chef Cristian Lisci’s menu features favorites such as beef carpaccio, wild mushroom risotto with truffle butter, and sea bass simmered in tomato sauce and capers. Chinese restaurant 8 hosts a dim sum buffet brunch every Friday. Dine on barbecue chicken buns, chicken and crab meat Shanghai dumplings, and deep-fried seafood wontons while you toast to the weekend. 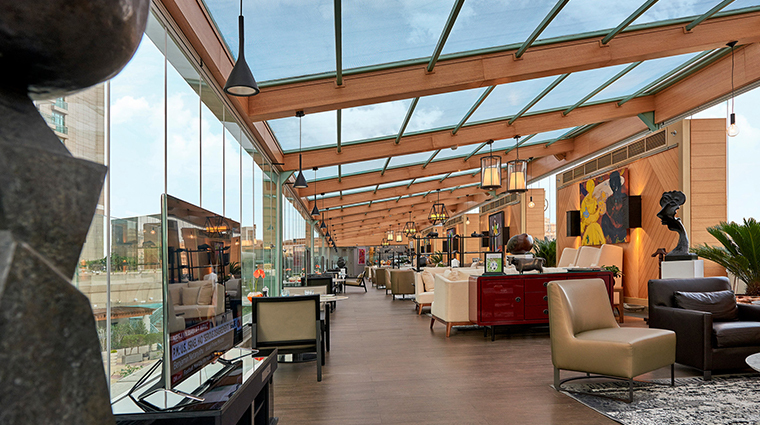 Upper Deck Lounge evokes the feeling of your own private living room above the Nile with plush chairs and couches, soft lighting and an array of local artwork adorning the walls. Stop by for a sundowner and sushi or opt for a selection of small plates to share.